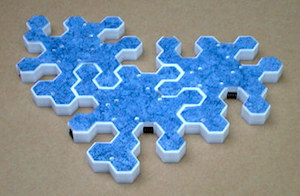 Z-tiles was a collaboration between Joe Paradiso and me, involving our respective graduate students and the Tyndall Institute in Cork. I had made LiteFoot before and Joe had made his Magic Carpet. We now tried to explore a number of new ideas for a modular interactive floor that could sense both location, pressure and shape. The Z-tiles concept was also self-configuring. The strange shape of each tile meant that it could only be fitted in one particular way to its neighbour and multiple tiles automatically detected their overall configuration and optimised the data-flow through the compound floor structure. 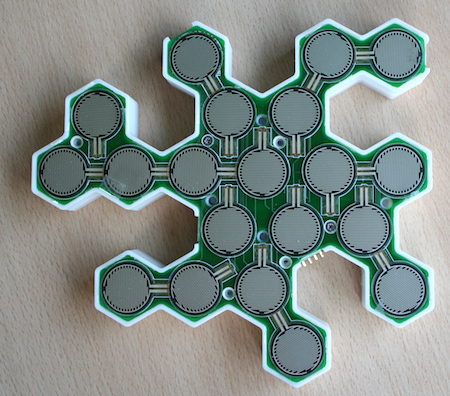 Z-tiles demo at MediaLab Europe, 2001. 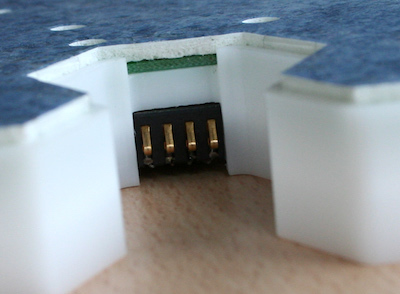 Z-tiles used force/pressure sensors from Tekscan. I designed a controller for the Z-tiles, one board per tile. 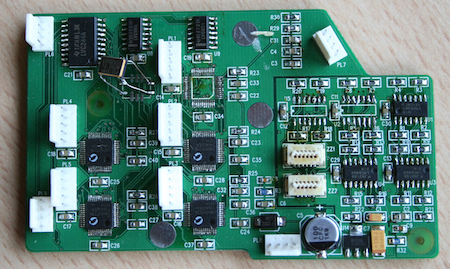 Each controller had 5 microcontrollers for measurement, analysis and data routing. It was difficult to find suitable connectors for the Z-tiles interconnection. We found connectors from Molex. Richardson, B., Leydon, K., Fernström, M., Paradiso, J. 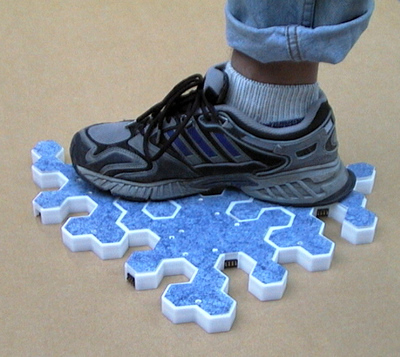 (2004) Z-tiles: Building blocks for modular, pressure-sensing floorspaces. In Extended abstracts of the 2004 conference on Human factors and computing systems - CHI ’04. New York, New York, USA: ACM Press, p. 1529. Available at: https://goo.gl/LdG2MS.